Trump Will Impose the Biggest Fed Shake Up in Forty Years. Get Ready. The idea that the Fed is immune from politics is a myth. The Fed is acutely aware that its “independence” is really the creation of Congress — and what Congress giveth, Congress can take away. 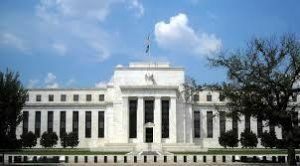 Pressure has been building on Capitol Hill for years to audit the Fed, and hold the Fed accountable to some rule to guide interest rate policy, such as the “Taylor Rule” or the price of gold. These efforts have gone nowhere because of political gridlock. Now the gridlock is gone because Republicans control the White House, Senate and House of Representatives. There are two vacancies on the seven-member Fed board of governors that Trump can fill immediately. Janet Yellen’s term as Chair is over in 14 months, and the Vice Chair, Stan Fischer, is expected to leave not long after that. Fed Governor Dan Tarullo, now de facto head of bank regulation, may leave if Trump designates a new Vice Chair for regulation. In all, Trump may be able to appoint five of seven governors including a new Chair and two Vice Chairs by January 2018. Click here to see why this will be the biggest Fed shake up since 1979 when Jimmy Carter appointed Paul Volcker to stop the out-of-control inflation at that time. Volcker did that by raising interest rates to 20%. Today, interest rates are not even 1%. Even a slight increase to 2% could blow a $200 billion hole in the Federal deficit when applied to $20 trillion of outstanding debt. Fasten your seatbelt; you’re about to see political fireworks at the normally boring Federal Reserve.